In my previous post I discussed designing my shiny new keyboard. Now that it has arrived it's time to review my first month with it. Ahem, I mean isn't it shiny? * The full colour printing turned out much better than I expected. 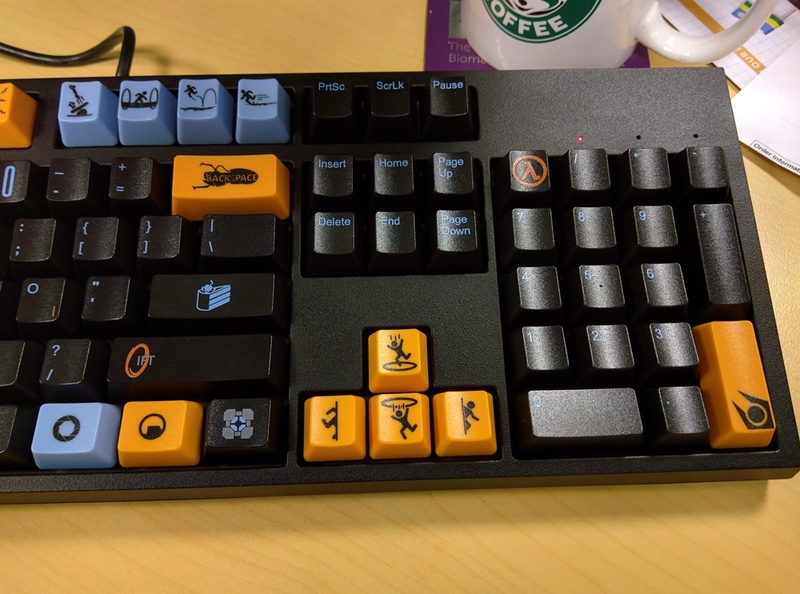 Also the coloured keycaps matched what I wanted perfectly. The sleek black of the rest of the keyboard looks very nice on my desk too. *And I don't just mean the reflection of the office lights in the photos. The Cherry MX Browns are very responsive and frankly it is a dream to type with. Since this is my first mechanical I imagine quite a bit of this is just due to the superior build quality and having proper keys for once. WASD, however, were brilliant to deal with and sent me a replacement switch when I briefly had an issue.† I cannot recommend them enough. The buttons feel very nice to the touch and as my touch typing improves it is like I am one with my laptop in a way I never was before. †This was actually a software issue due to changing the language on Windows. Silly Windows. The hardware switch on the bottom of the keyboard activates a hardware Colemak mode. This means I only needed to change the language to US in Windows.‡ For us Brits you can use AutoHotkey to add in the £ symbol on the 3 key. So the first week I probably averaged about 10 words per minute. That isn't good for a work environment, especially a coding one. Thanks to Tipp 10 I have improved greatly. Firstly, I now don't have to look at the keyboard...most of the time. Secondly, my speed is up to 21 WPM with a 3% error rate. I still need to speed up but the occasional furtive glance at the keyboard helps me get by for now. 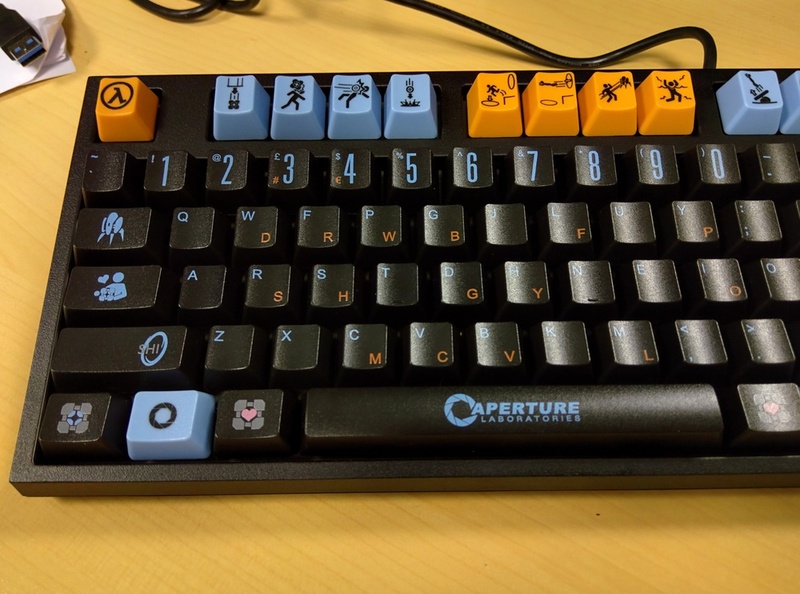 ‡I ordered a US layout, 104-key keyboard.